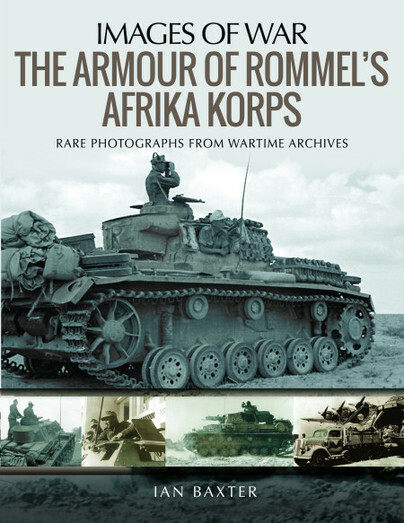 You'll be £4.99 closer to your next £10.00 credit when you purchase The Armour of Rommel's Afrika Korps. What's this? The Deutsche Afrika Korps (best known as simply Afrika Korps) built up a well-deserved reputation as a superb fighting machine. While this was founded on the leadership and tactical genius of its legendary commander Erwin Rommel and the fighting skills of its officers and men, another vital element was its equipment in general and armour in particular. This superbly illustrated Images of War book reveals the full range of German armoured vehicles that saw service in North Africa over the two year period 1941 to mid-1943. As well as the formidable panzers , such as the Tiger and Panther tanks, there were Sturmartillerie equipments, reconnaissance vehicles, half- tracks, armoured cars, Panzerkampwagens and motor cycles. All had their roles to play. All in all, this book is a solid affair that will not disappoint. As expected, the photographs were excellent, with several showing Rommel and his staff poring over plans or discussing the battle. The ones showing the various pieces of armour were very good and gave me some ideas for future diorama/vignette projects. What I really liked was that they weren't showing "action" pics but photos from before or after battle or away from the battlefield, making them more of a personal nature. It's still a good addition to the WWII history nut's book collection, mainly thanks to the images. The collection provides an interesting and unusual archive. The pictures are all provided with helpful and descriptive captioning.